That was a great find! Those plates and glasses are just lovely! I would have overlooked this great find because of t being glued. I am so glad all it took was a good soak to free your new treasures ! Beautiful plates. You got real lucky in saving these treasures! One wonders if some people do REALLY know the value of things for using them in such a way. 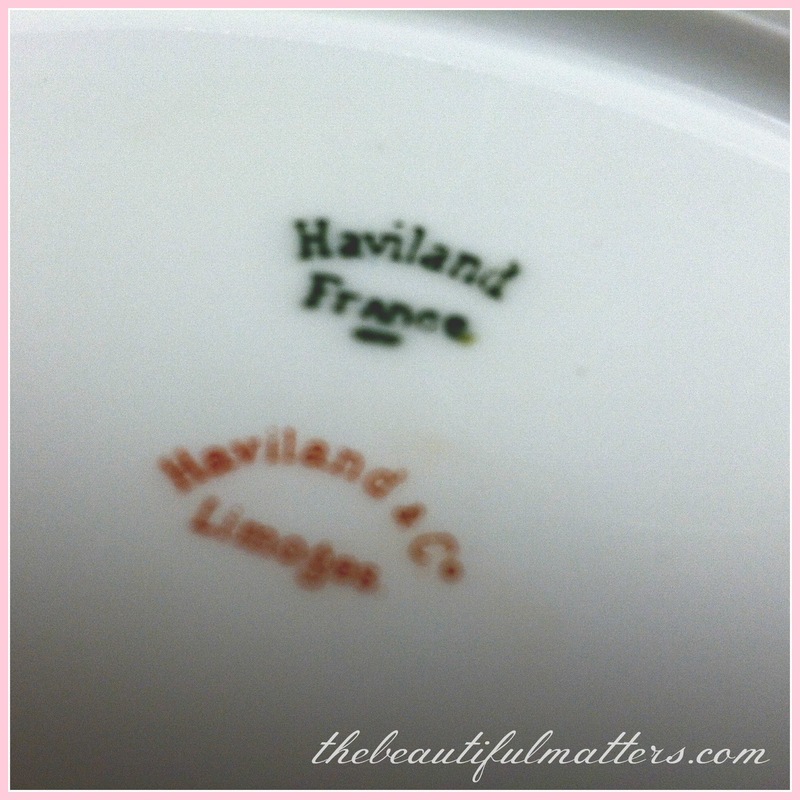 Thanks for mailing such a lovely tea cup & saucer all the way out to our fabulous blogger Fabby from 'Fabby's Living'. So now you know why I ended up here being your 89th follower. 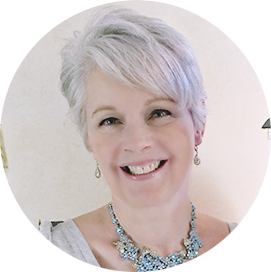 You have chosen your blog title in a very catchy way and it sure does reflect who and what you are. A very lucky save, yes! Not too shabby indeed, lovely pieces!! Great find! Just water! Beautiful pieces, Deborah. I'm glad you thought of using plain water first. 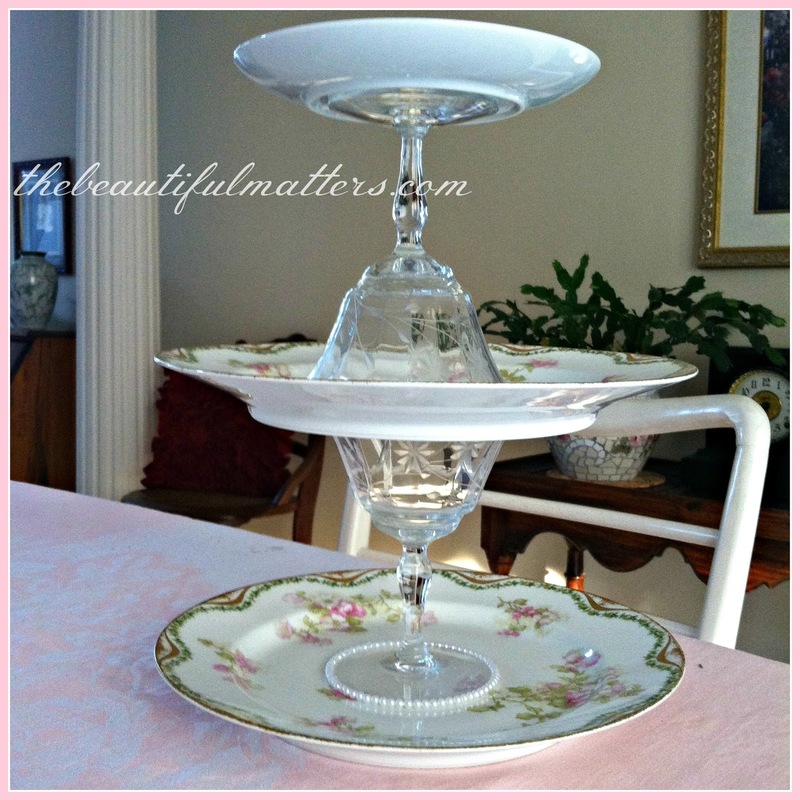 If you want to use those beautiful plates for serving, you can try to find a two tier stand that fits them, at least the two large ones. 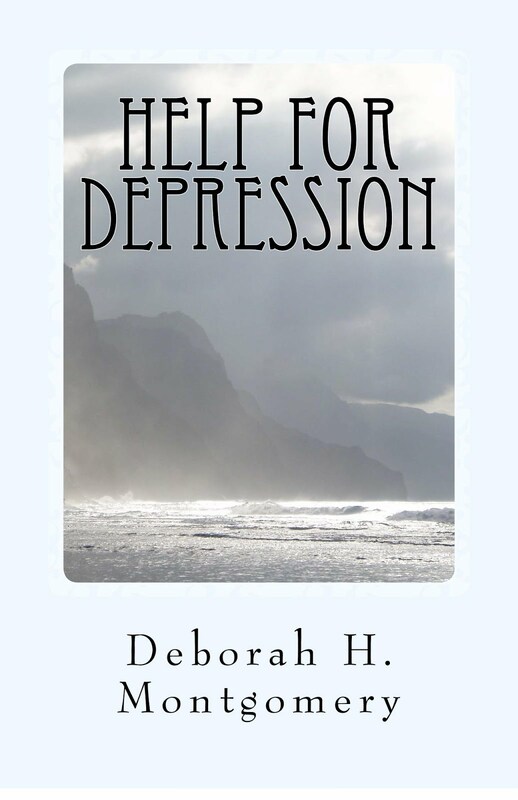 Great finds, Deborah...so happy you could get them apart without damaging anything. On my screen the stems look a soft blue? 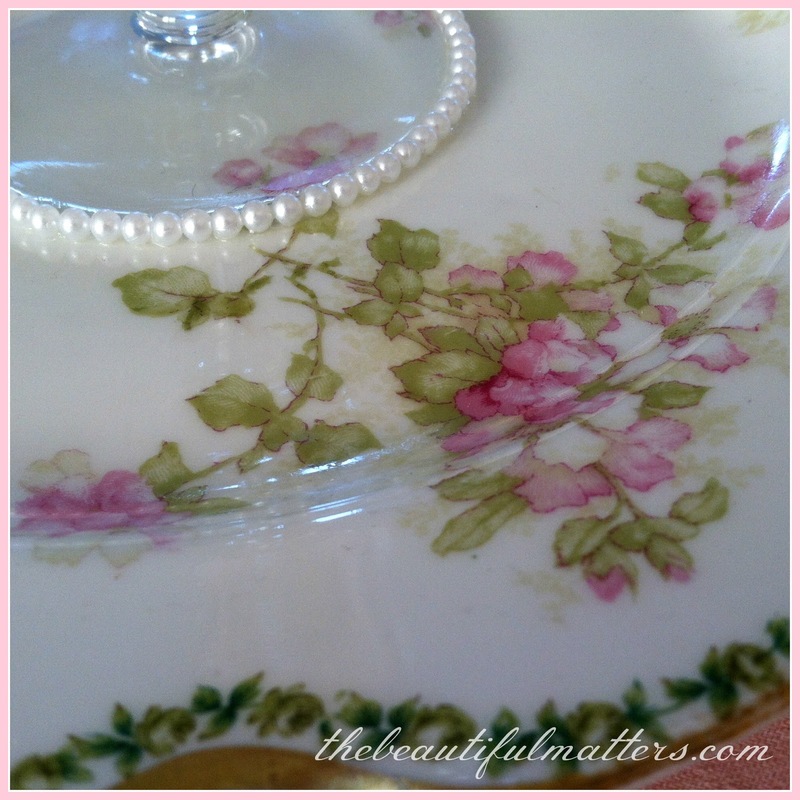 Beautiful plates...perfect for a lunch with a special friend. 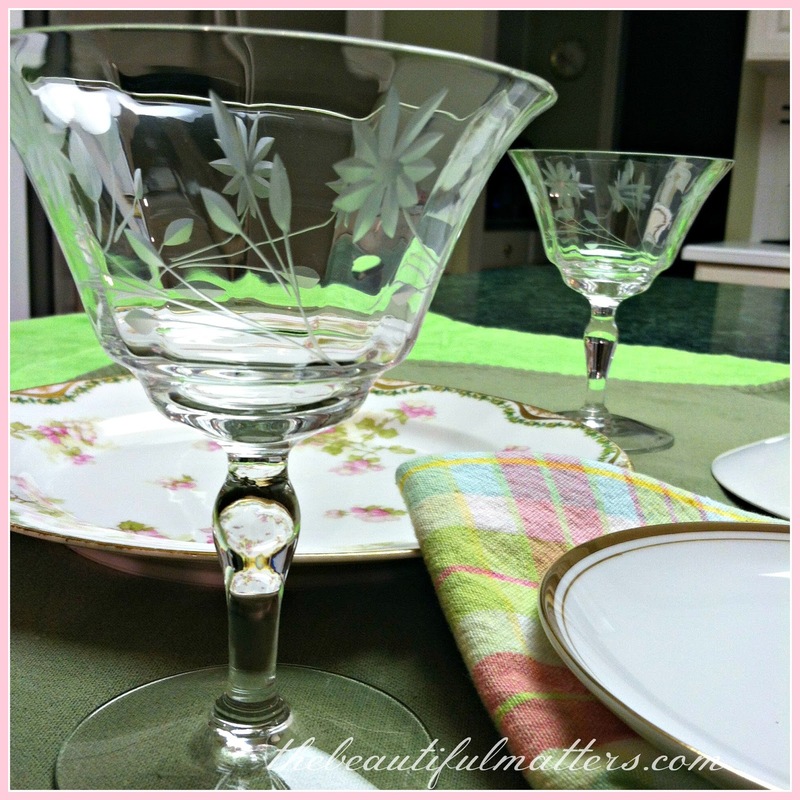 I found you through Fabby's Living - I saw that super wonderful giveaway she won. I wish you the best and I am now your newest follower! That was a great idea to even buy them and try to separate them. 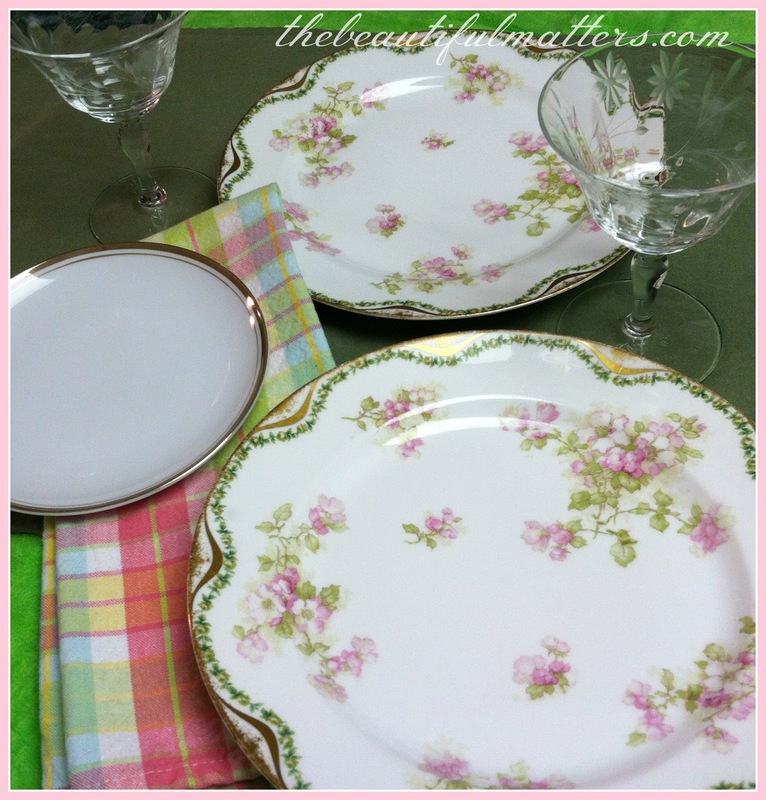 The plates are lovely and I will be waiting to see how you use them. So fun to find such a treasure! Wow, it's a good thing you wanted them apart! I would have been really irritated if I'd bought it and wanted it to stay together. No doubt the seller did not use Loctite, which is the glue for a craft as such. 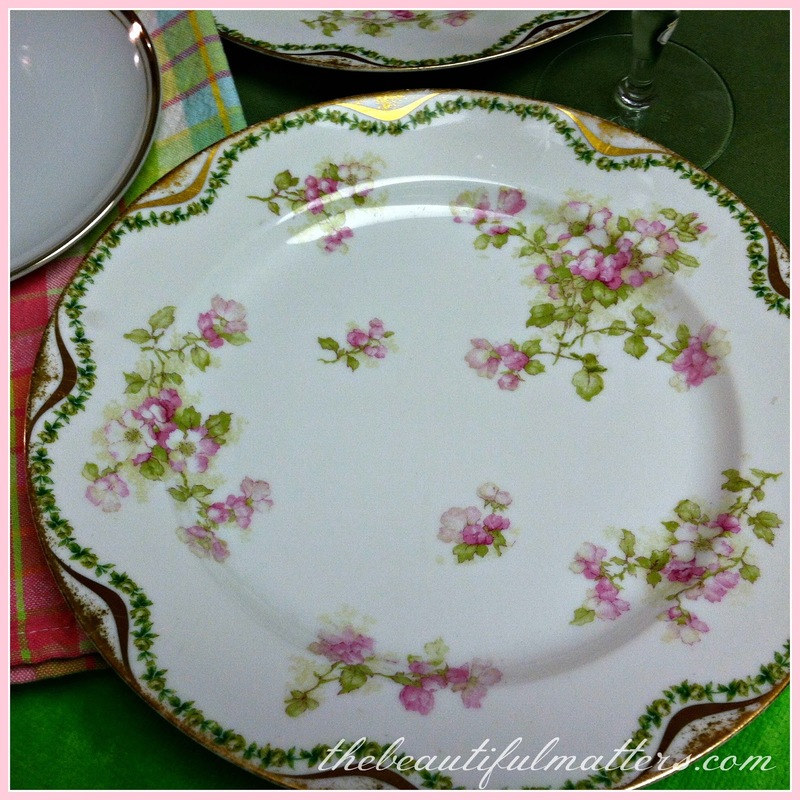 Glad you didn't have to use acetone either - that might have taken the h/p finish off the plates - which are very pretty! Hi Deborah, thanks for stopping by today and yes Avon has some nice products now and the packaging it comes in now is updated too. My brothers and sisters used to tease my mom when we were little and say Ding Dong Avon calling. Lol! I hope you had a nice mother's day. 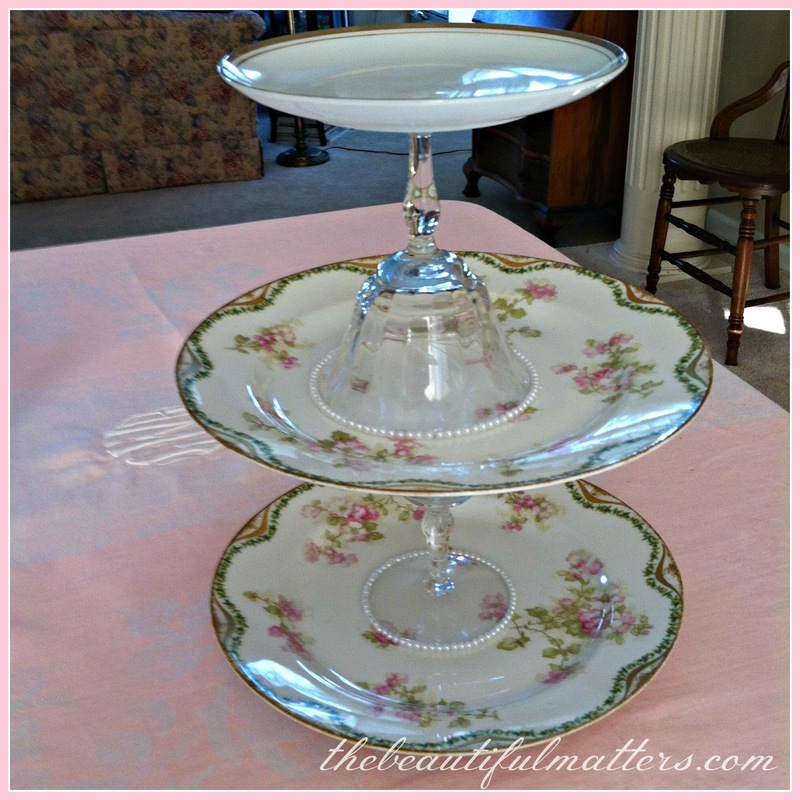 I love the idea of just using the plates without them stacked up and they are really pretty! I like the glasses too. Have a wonderful day. That is a great tip! Pretty plate. Oh my word! I'm so glad you salvaged that ... structure. I must admit, in its condition as you bought it, it looked a bit scary to me. But the plates alone are stupendous! So glad they fell into your hands!